The 24th Annual Highlands Sale was held at the Clermont saleyards on Friday, 20th March 2015. A great line up of quality Droughtmaster bulls and heifers were on offer from 10 respected studs from the industry. Another successful sale this year with an average of $4053 with a final revised clearance of 99% and a top of $12000 for Strathfield Gizmo who was purchased by co vendor John and Estelle Baccon from Mt Oscar Stud, Clermont. The top priced herd bull was 27month old Wolfang 457 for $8000, selling to Dale Sibson, Cotherstone, Dysart. This year 7 heifers where put under the hammer with an average of $1428 with a top of $2500 for Toronellah 367 who was purchased by co vendor Renee Rutherford from Redskin R Stud, Morinish. The Two Peters award this year for best pen of bulls was judged by John Illot with first place being awarded to Ken and Debbie Rutherford of Redskin Stud, second place going to Shane and Wendy Perry of Strathfield stud and third place going to Sam and Jane Barton Huntly Stud. 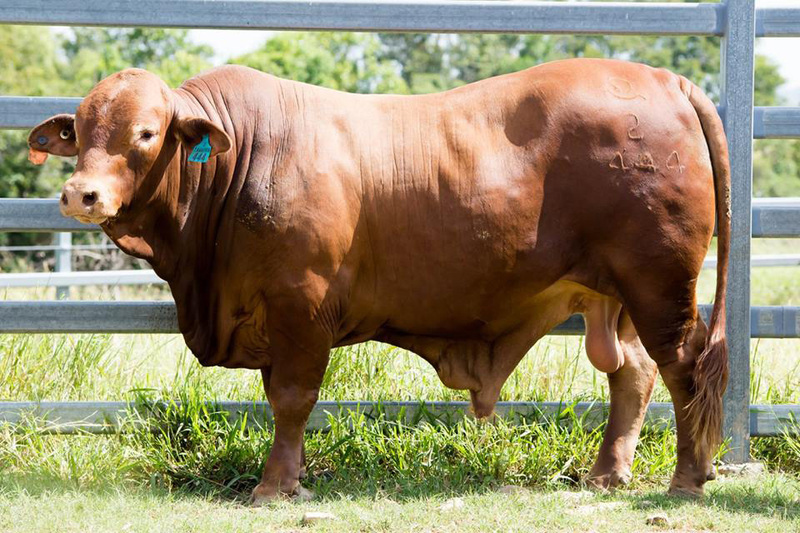 This year vendors chose a bull from their draft to donate 10% of the sale price to be donated to RACQ CQ Rescue service, we are very happy to report that we where able to donate $3800 from the proceeds of this. Also a big thank you to our valued sponsors Bank of Queensland Agribusiness, Beef Breeding services, O’Brian Trading, Westpac, Clermont Butchery, Coleman Stockfeeds, Blue Ribbon Stockfeeds, K & A Canvases. CQ Saddlery, Broken River Mountain Resort, Upton Signage and Frames, Crokers Fuel and Oils, Dectomax, Allflex, GR Motors, Bullet Bikes, Brennan Mayne Agribusiness, Clermont Concrete and Shop 38.